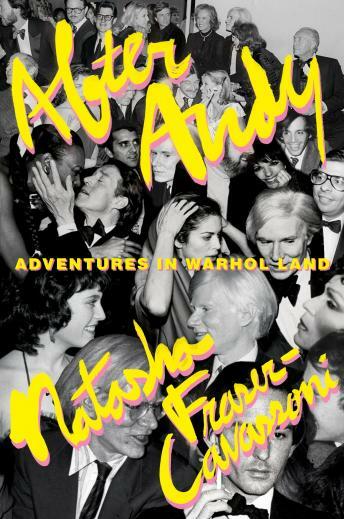 After Andy is Natasha Fraser-Cavassoni’s insider's account of working in Andy Warhol’s studio and Interview magazine, and explores Warhol’s impact on the art world, pop culture, society, and fashion—and how his iconic status gave rise to some of our most influential tastemakers today. Natasha Fraser-Cavassoni met Andy Warhol when she was sixteen, and then on and off over the years before landing in New York City at the Andy Warhol Studio, or as she calls it, “Adventures in Warhol Land.” In this witty, page-turning account, she takes readers deep into the Pop artist’s world—as well as miles into the stratosphere of the socialites, fashion icons, film stars, rock legends, and art world powerhouses who could be found in his orbit—where she worked with Fred Hughes, Brigid Berlin, Vincent Fremont, and others who were once part of the Factory clan. As the last person hired at the studio before Warhol died in 1987, Fraser-Cavassoni saw firsthand the end of an era and the establishment of a global phenomenon. From the behind-the-scenes disagreements and the assessment of his estate, which included Interview magazine and his art inventory, to the record-breaking auction of his belongings and the publication of his diaries, Fraser-Cavassoni examines the immediate aftermath of Warhol’s death and his ever-growing impact, which ranged from New York to Los Angeles and throughout Europe. Interviews with key figures of the art world and dozens of Andy intimates make After Andy and its subject more relevant than ever today.